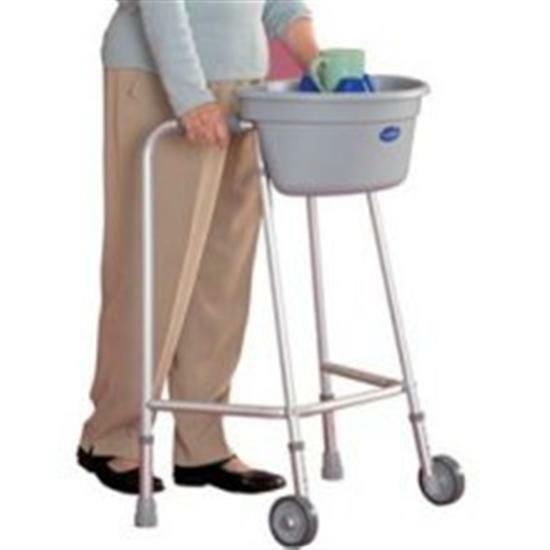 Walking Frame Caddy Move Everyday Items Safely. 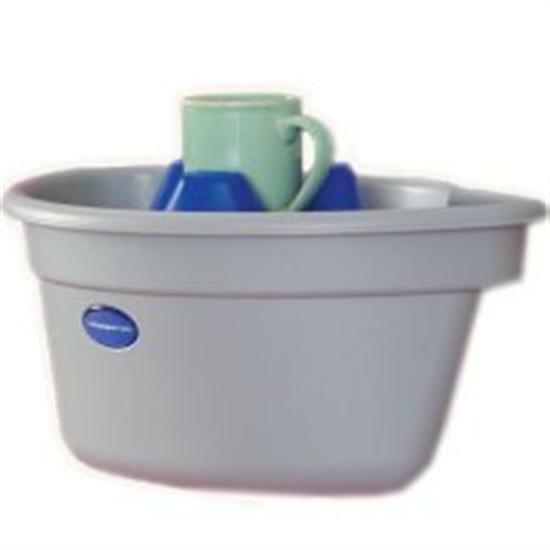 The zimmer frame caddy has one large and one small compartment to allow users to separate items such as glasses, keys, medication etc, and is supplied with a tray. 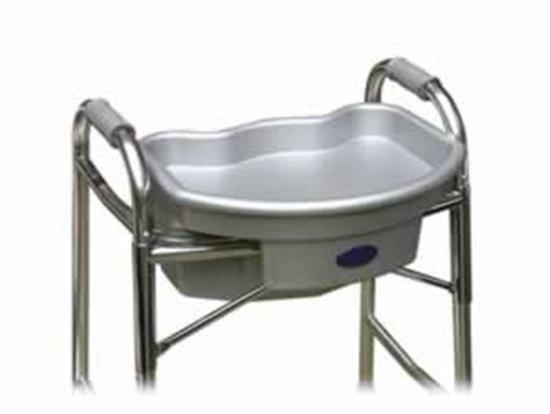 Easy to fit to most types of walking frame, and manufactured from tough plastic. Depth with tray...................310mm (12 1/4").